DEFINITION: A non-profit or for-profit retail establishment selling previously owned, second-hand items ranging from clothes, housewares, appliances, books, electronics, and miscellanea. Donations to thrift stores are usually tax-deductible. Here Wikipedia's international description of a thrift store, also known as a charity shop. The thrift store was always an exciting place to go growing up. We didn’t have a lot of money, so every couple of months, we’d hit the local thrift store for clothing and other supplies. This is a picture of the thrift store I remember the most. It’s the RAD Thrift Store, located at 215 West Main Street, Santa Maria, California. There is a smell to thrift stores (at least all the thrift stores that I have ever visited). It smells like body odor, mildew, disinfectant, perhaps ages of perfumes, cigarette smoke, dank attics, danker basements, and lastly, I suppose it smells like poverty. I can remember running through the aisles of this thrift store with my siblings and playing with the toys for sale. My mother was always looking at the clothes and linens. After an indeterminate amount of time, she would call out and all four of us would make our way to the cashier’s stand. We always wore what my mother chose, and I can’t remember ever hating anything she made me wear. 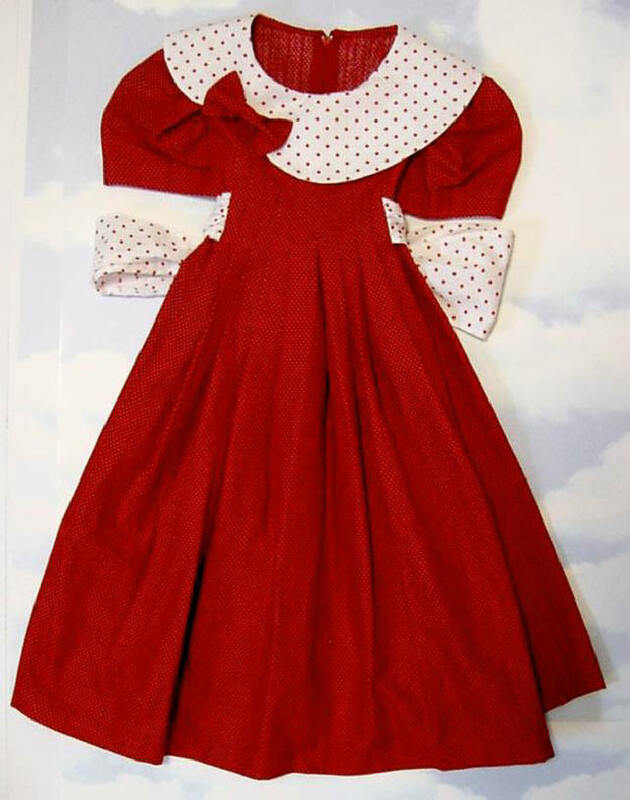 In fact, the only clothes I truly hated were brand new ruffle dresses with poofy sleeves. There was nothing inherently wrong with them, except I would have to wear them to school with little shiny shoes while the other girls had tennis shoes and sneakers, jeans, and a t-shirt. When I was a bit older, I remember buying old dresses to cut up and make into skirts from this very thrift store. As an adult, I have gone to the thrift store for many reasons. As I have two boys roughly the same build and height and who are growing quickly, I find I need to constantly buy clothes that fit them. It is cost-prohibitive to buy them new clothes all the time, but I can go the thrift store and buy them five or six pairs of jeans for under $20. I have also gone for cheap and sometimes very interesting artwork to decorate my home with. But most importantly, I go to thrift stores to buy inexpensive books. Going to the local thrift store to pick out my latest batch of used books is always exciting. The pleasure I get from looking at the worn and not-so-worn spines is only topped by actually picking the books and getting to read them. During my last visit, I found a few gems: Tolkein’s The Hobbit and Rudolfo Anaya’s Bless Me, Ultima. 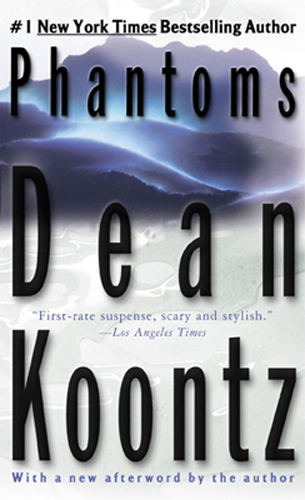 I also picked a rather meaty, but altogether random romance novel, a suspense novel and Dean Koontz’s Phantoms. I loved Phantoms. Not because it is extremely well-written or impressed me terribly. It is classically Koontz. What I loved about this book was the previous owner’s notes. On several of the book’s pages, the previous owner had written her impressions, predictions, sarcastic comments, and references to other books. At least I think it is a woman from the handwriting, but I cannot be sure. Where else could I have picked up such a book if not from the thrift store? I can’t decide whether I will follow this woman’s example and mark up my books with my thoughts. There is an ingrained distaste for defacing books. But I will think about it. TheThriftShopper.com is an excellent resource on thrift store shopping. Even though the Southern California sun is scorching the land and wildfires are raging throughout parts of Los Angeles and Riverside counties, the summer is officially ending for me and my sons. We have been lazing around, watching television, playing, spending time with each other, going to the beach, the park, and just enjoying ourselves. Sure, I have had to go to work almost every day, but having my sons at home (and not having to whisk them about for child care and other activities) has been great. Today marked their first day as 4th and 3rd graders. They were a bit nervous, but they appeared to be looking forward to their first day. I was rushing about this morning trying to find the school morning groove, but couldn’t seem to find it. The first day of school just seemed to sneak up on us.